Thank you, Mr. Chairman. 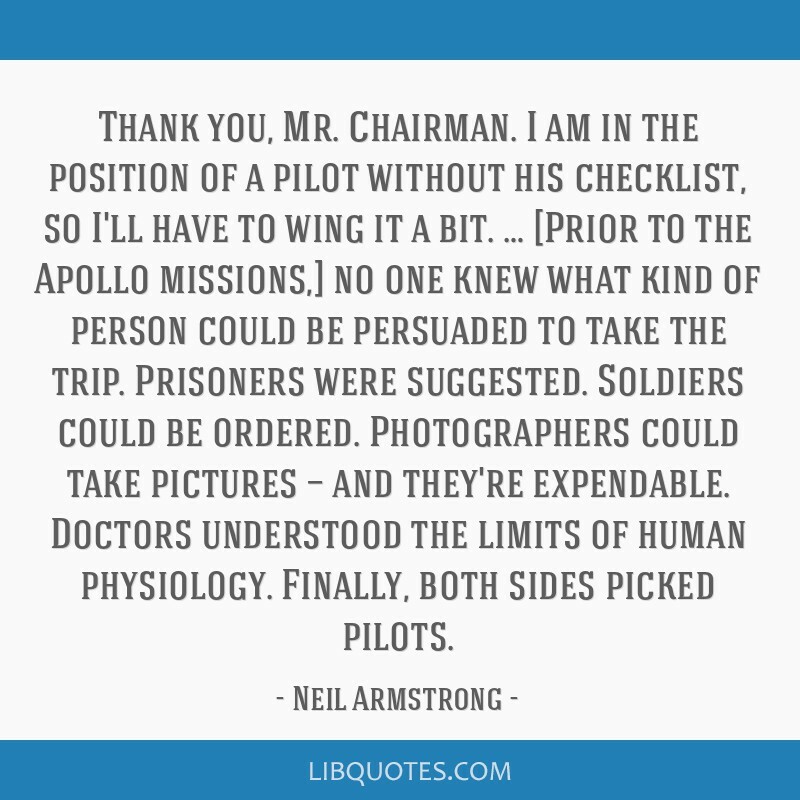 I am in the position of a pilot without his checklist, so I'll have to wing it a bit. 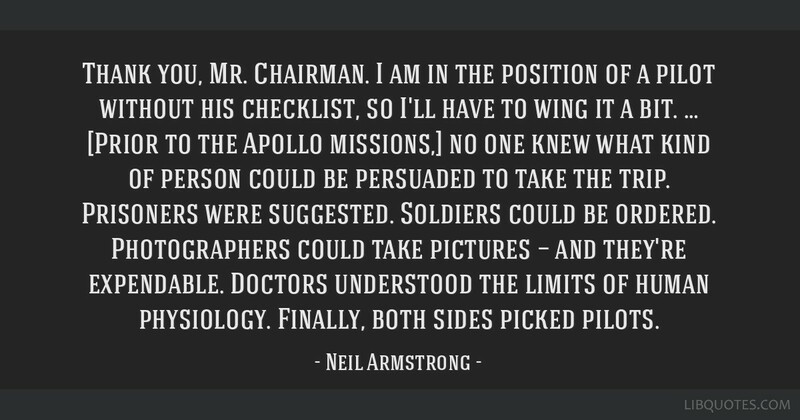 … [Prior to the Apollo missions,] no one knew what kind of person could be persuaded to take the trip. Prisoners were suggested. 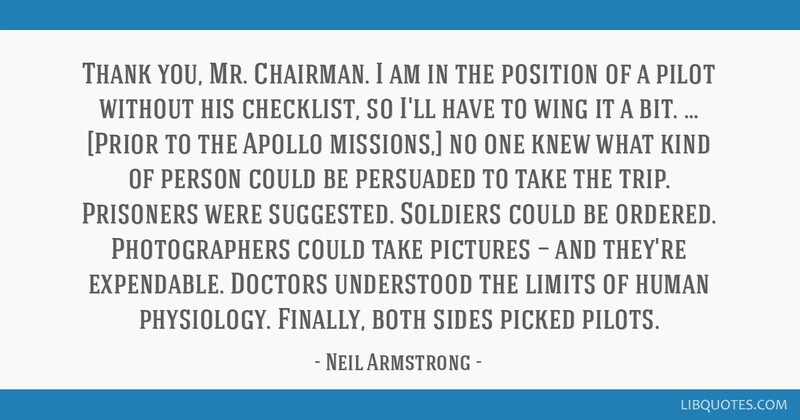 Soldiers could be ordered. Photographers could take pictures — and they're expendable. Doctors understood the limits of human physiology. 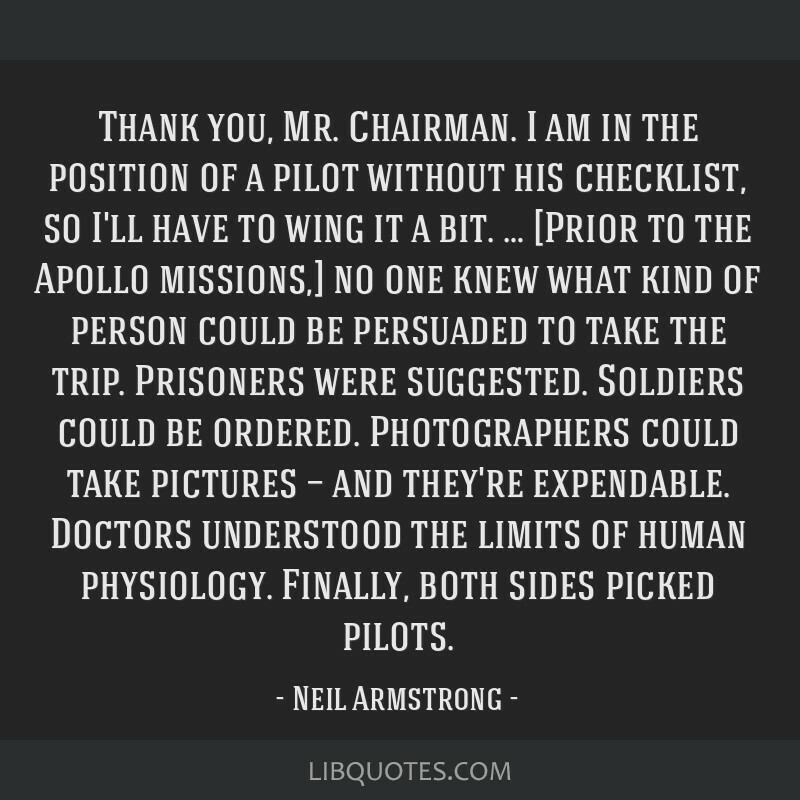 Finally, both sides picked pilots.